We offer the versatility you no doubt expect in a contracting company you want to invest in. GES excels in the area of exterior remodeling with such options as deck construction and garage door installation. 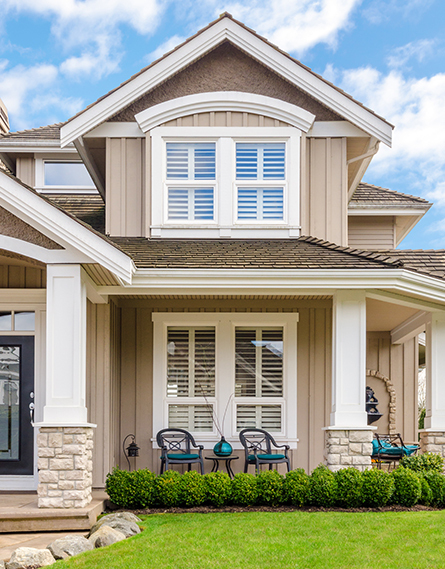 We make our customers' homes the standouts of their neighborhoods. We build beautiful outdoor decks from both wood and synthetic wood-like materials. Let us turn your yard into your new favorite outdoor living space! GES is not your typical replacement-window company. We use state-of-the-art imaging to show you which doors and windows need to be replaced, so you can save on energy costs and beautify your home. Turn to us for complete garage door services that include measuring, helping you choose the right style and model, and installing the door. Replacement of older, inefficient garage doors is our specialty. We can make your home look like new with shingles and clapboards! Exterior cladding is crucial to a warm interior, so let us help you increase the energy efficiency of your home and give it a facelift.